I’m looking down the list of titles that Boyds Mills just took out of their line. I’m going to miss PIRATES and those wonderful paintings by Dan Burr. Its recognitions included: Kansas State Reading Circle List, 2009; NCTE Notable Poetry Books, 2008; nominated for Cybils Award; VOYA’s Nonfiction Honor List, 2009; Texas Bluebonnet Master Reading List, 2010-2011; Indiana Young Hoosier Book Award Master Reading List, 2011-2012; selected by Missouri Center for the Book to represent Missouri at the National Book Fair in Washington D.C., 2013. 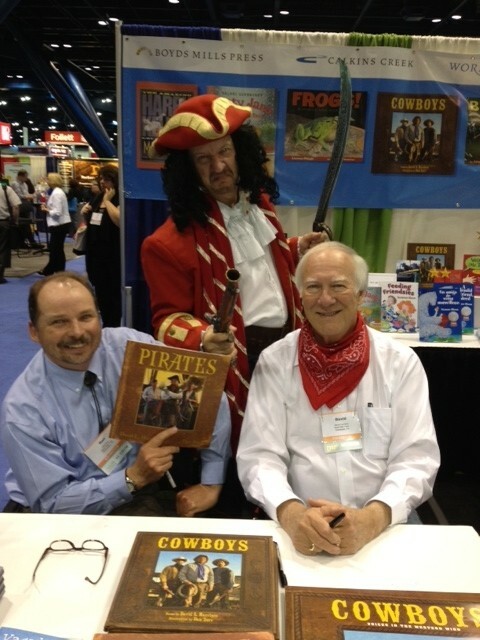 Dan and I introduced PIRATES at Texas Library Association in 2008. We had no idea who the guy dressed like a pirate was. He just appeared and stood in behind us for the picture. 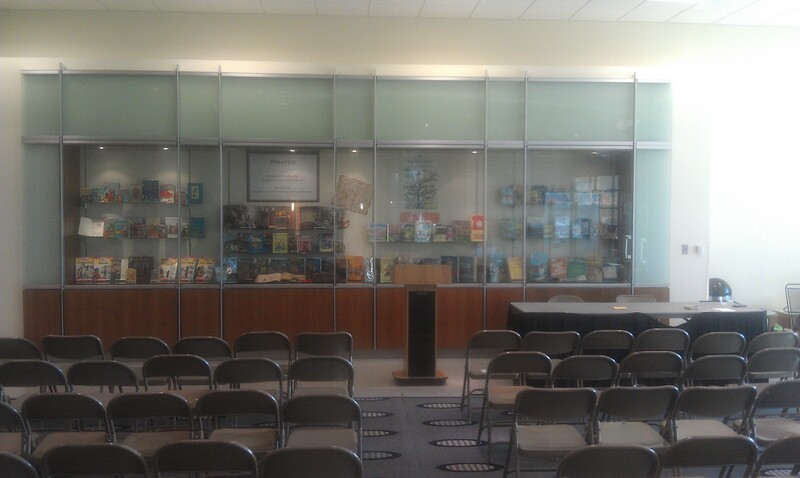 The Center for the Book held a reception in Warrensburg for Dan and me. Here’s the link. What a great party that was! http://books.missouri.org/content/david-harrison-and-dan-burr-book-signing I didn’t attend the National Book Fair in Washington, D.C. Sandy said I should have gone. 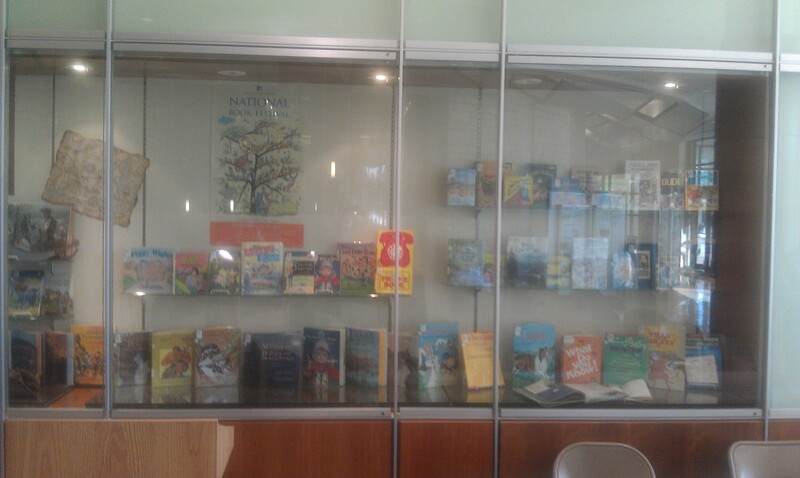 Cheryl Harness did you go the year your book was chosen? I think I heard that more than 100,000 people go to those affairs. Here's a poem from PIRATES, published by Wordsong, 2008, (c) by David L. Harrison, all rights reserved. WHAT’LL THE KING SAY, CAP’N? And we’re not finished yet. I’ll have your pistol, Cap’n. Your knife will also do. Ah, those rings are pretty things! Seems you lost his loot! Your knife and rings to boot. Your kindness can’t be matched! And leaves your head attached. I’ve told you about the enormous grass carp that prowl the shallows of Goose Lake and crowd out native fish vying for the same vegetation. My thanks to Dan Burr for showing off the one he recently caught on one of his own outings in Idaho. I’m guessing that ours are approximately the same size. One afternoon I stood on our bank and counted thirteen of them within fifty yards of us, some a few feet away. 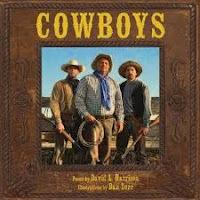 If you aren’t familiar with Dan Burr’s work, check out PIRATES and COWBOYS, which we did together. 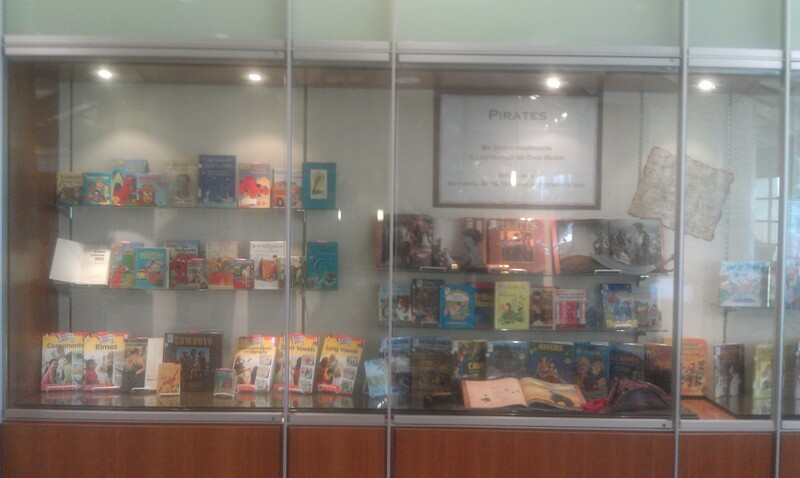 PIRATES went on to be chosen by Missouri Center for the Book to represent Missouri at the National Book Fair in Washington D.C. Dan and I want to do other books together but haven’t come up with the right idea yet. Sorry I can’t play today. I’m in Texas having a fine time! This is me the last time I was here. PIRATES had just come out so artist Dan Burr and I were there introducing it. We had no idea who the guy dressed like a pirate was. He just wandered by, muttered “Argh,” and got in the shot.